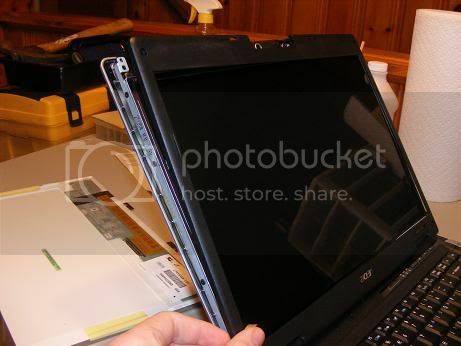 We all know the dreadful cracked display on a laptop, but there’s an easy solution to fix a broken or cracked LCD. 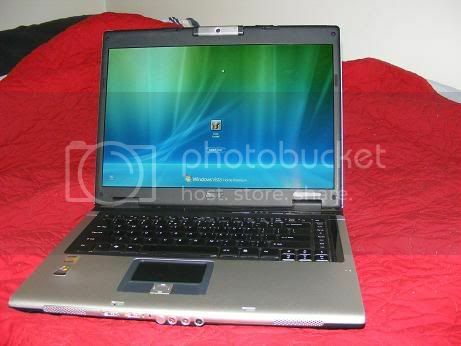 This guide is done on an Acer Aspire 5100 laptop. I’ve replaced a few LCD’s and they all may be slightly different in the disassembly which may make it easier or harder, though the process is still the same for the most part. First off, you’ll want to tear it down so that you can get the model # off the back of the display. Then you can order the correct LCD you need for replacement. 1. You’ll start off by making sure the battery and the power are both unplugged. 2. 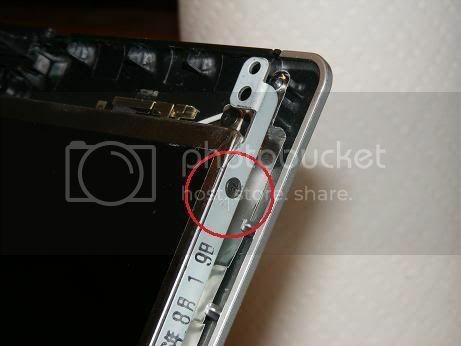 Remove the rubber pieces covering the screws on the inside around the screen, this will reveal the screws holding the casing in place. Remove those screws. 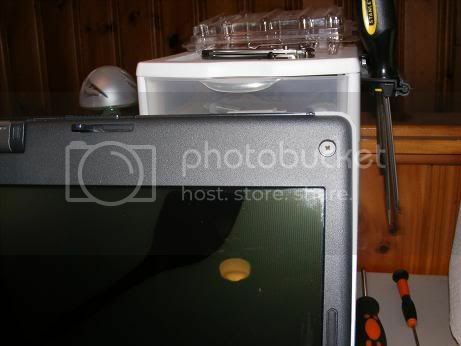 3.Gently go around the edge of the casing snapping off the bezel around the screen. 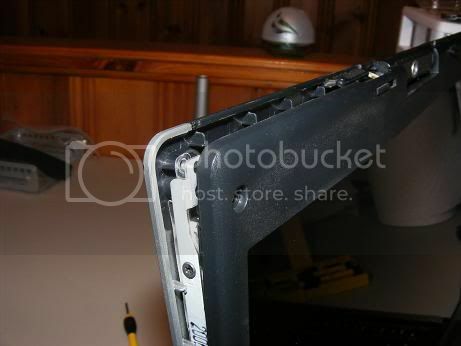 It may be more difficult around the hinges, be careful to keep bending the plastic to a minimum. 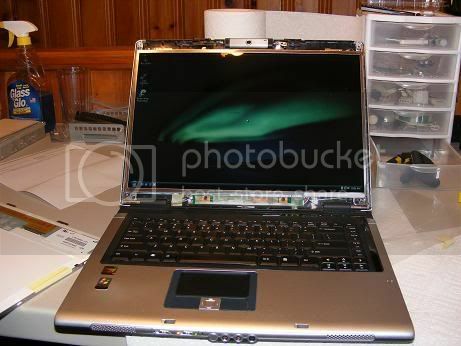 4.Now that you have the bezel around the LCD off, it should look like this. 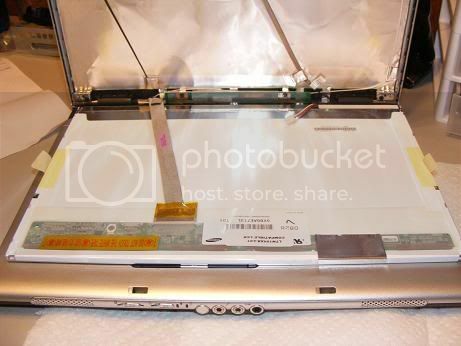 You’ll see the braces on the left and right that are holding the LCD in place. 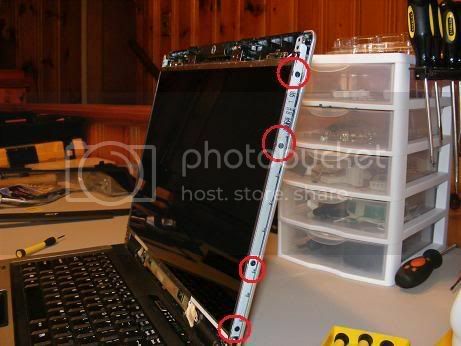 You’ll need to remove all of the screws down the left and right side. There should be around 6-8 in total. 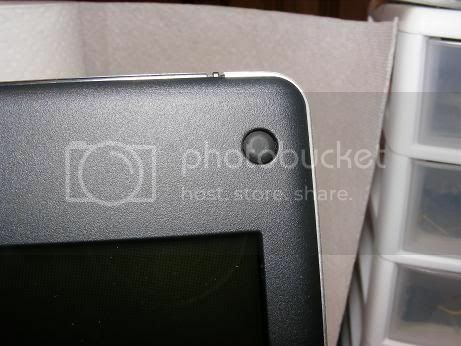 Look for any other screws around the screen that may be attached as well. 5. 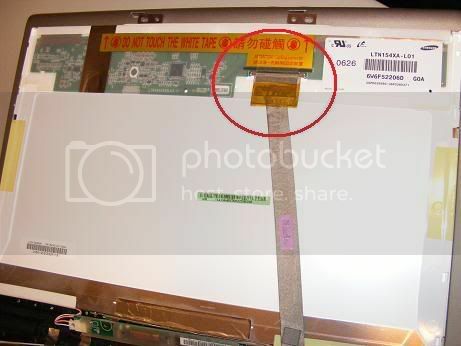 Gently lay the LCD on the keyboard so that you can unplug the video cable. You’ll also see a smaller cable about the size of a 3 pin fan connector toward the bottom. 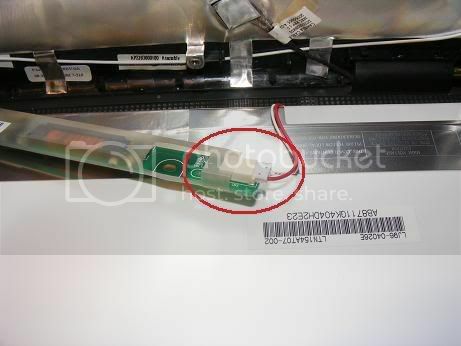 Unplug this cable from the inverter PCB (this is for the LCD’s backlight). 6. You should now have the LCD completely free from the casing. On the back you’ll find the model #. 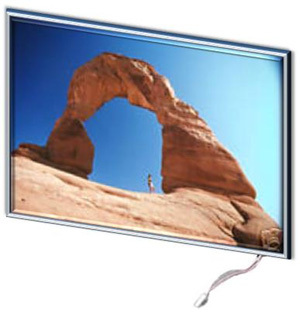 You can get a brand new LCD for usually around $80-90 shipped on ebay. 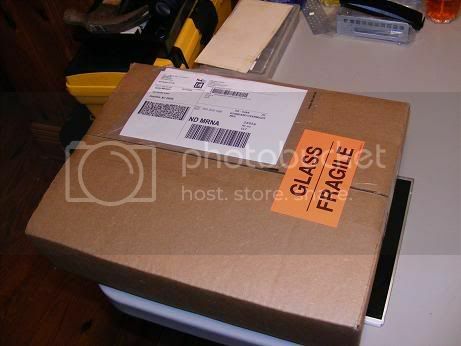 I ordered my screen from the ebay user “lcdworld08″. 7. You’ll basically repeat the process backwards, take the new screen and connect the cables. 9. Before getting it together completely, make sure the LCD is not DOA and that everything is working ok.
10. 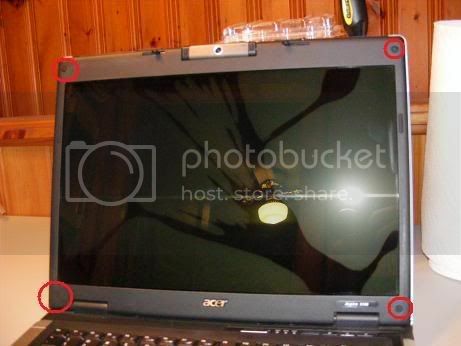 After you have everything fastened in place, take the plastic bezel and get it back in place. Then begin going all the way around making sure all the snaps are in place. And heres the finished product! * I’m not responsible for any damages you inflict on your laptop by attempting this yourself, this is for reference only. This post can be discussed here. Will we see a new iphone at WWDC 2009?